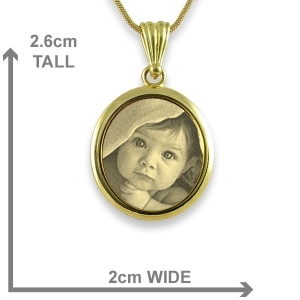 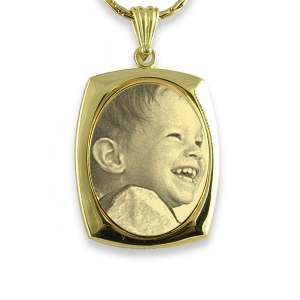 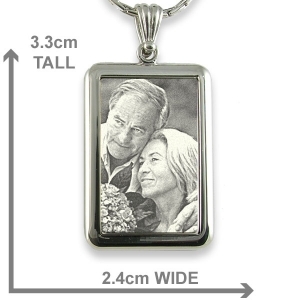 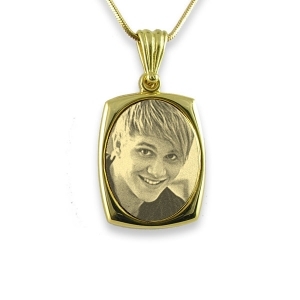 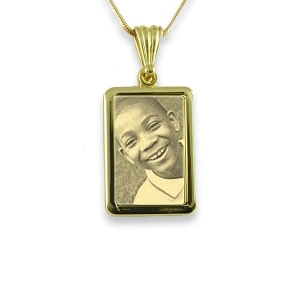 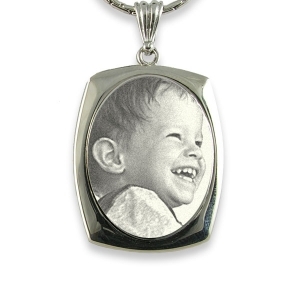 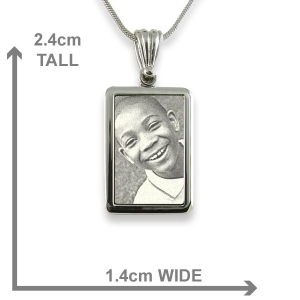 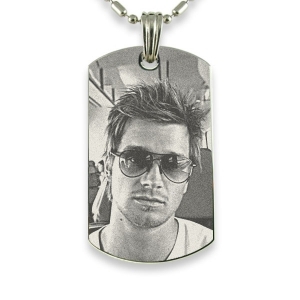 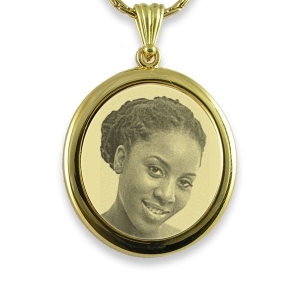 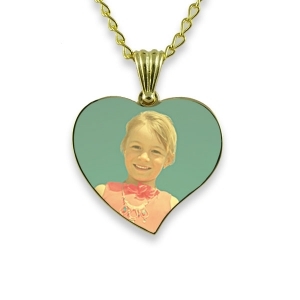 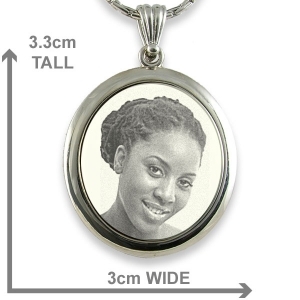 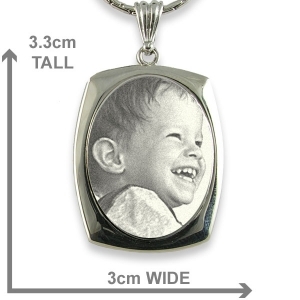 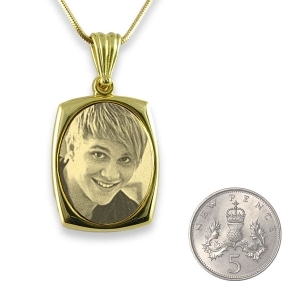 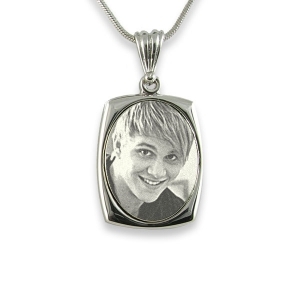 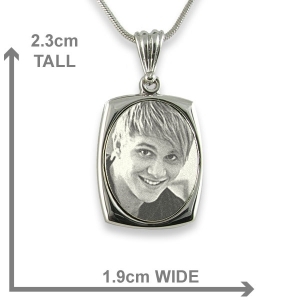 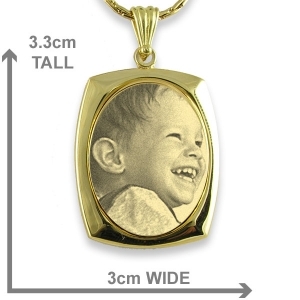 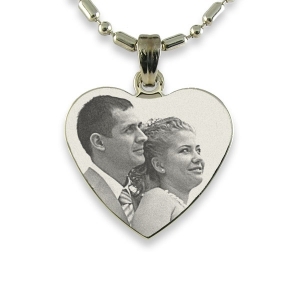 These mounted portrait pendants have a centre disc on which your loved one’s photo is engraved. 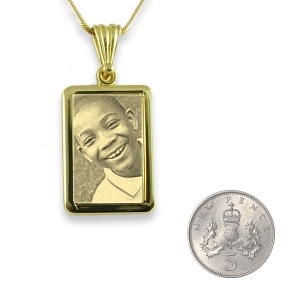 This is set into a back mount which gives the whole pendant a distinguished look. 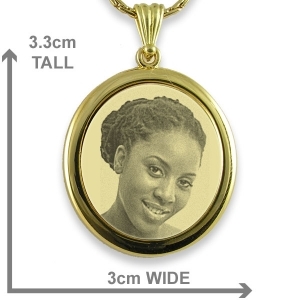 The pendant will capture many admiring looks from friends and strangers alike. 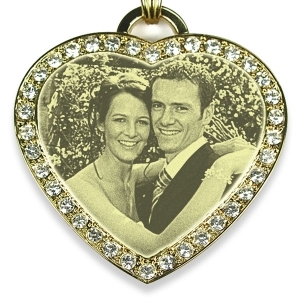 The plate sits in a portrait frame which enhances the presentation of the engraved photo. 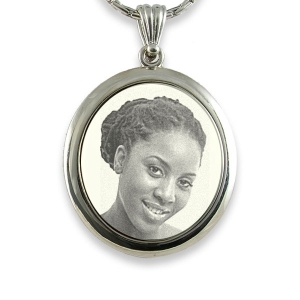 The mount gives these pendants a more solid feel and they make a stronger statement with your engraved photo standing out. 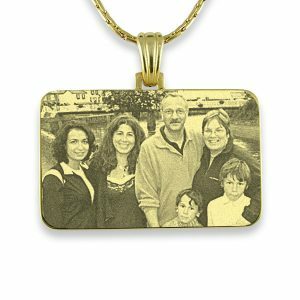 These are Photo Pendants we have produced. 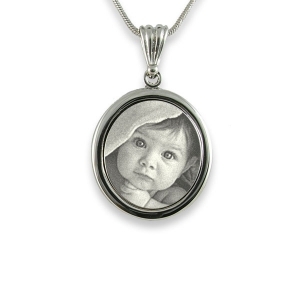 The Photo is visible when light reflects off the face.